In the case of Engineer To Order (ETO), it is necessary to create an Integrated Master for each order. Until now, in Asprova, it took time and effort to create an Integrated Master for each order. 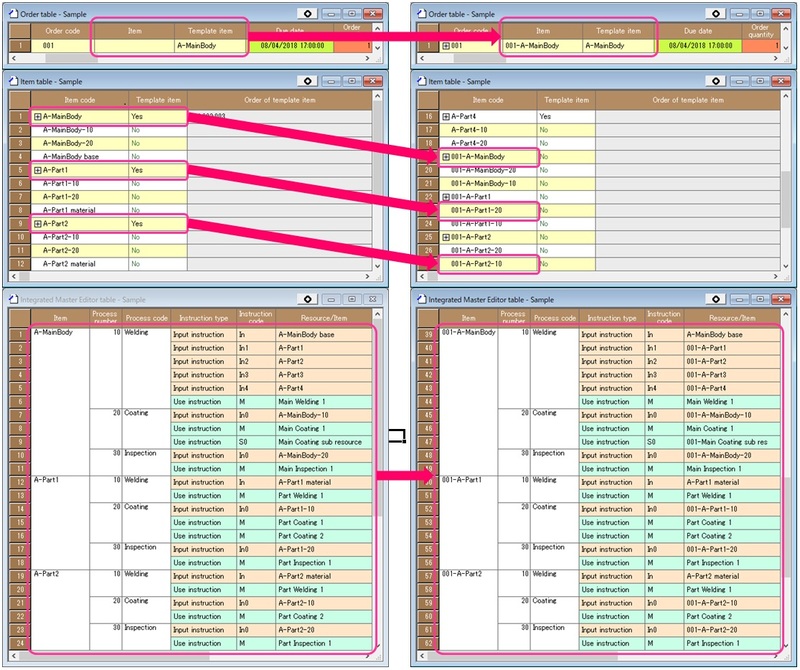 To remedy this, we added a feature that makes it possible to automatically create order-specific items and Integrated Master for a particular order by simply registering items to be used as a template and selecting and copying them as template items for the manufacturing order when an order is received. Since the template items and copied items are independent, after copying, one can make changes to refine the details.